Home »Catalog »Products By Manufacturer »Amoena Breast Forms »Breast Forms »Amoena Breast Forms »Casual/Leisure Forms »Amoena Breast Form - New Leisure Form! Amoena Breast Form - New Leisure Form! The New Amoena Priform - An ultra comfortable leisure form with the extra benefit of a silver ions treatment into the back fabric, providing an antimicrobial effec. 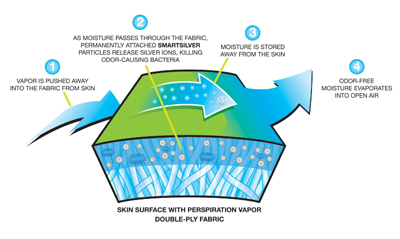 Silver ions are integrated into the back fabric, providing a natural antimicrobial benefit of inhibiting bacterial growth which results in a more hygienic climate for healing and recovery. The innovative treatment does not wash or wear off and keeps working through the life of the form. Form volume is adjustable by adding or removing fiberfill. Get the lowest price on Amoena 216 Amoena Breast Form - New Leisure Form!. We are dedicated to always offering the best service and value to our customers. We will match the price, at the time of purchase or until 7 days after your purchase, on a Price Match Guarantee product if you find the same item ( Amoena 216) at a lower price at a Designated Major Online Retailer or at a local retail competitor's store in the US.